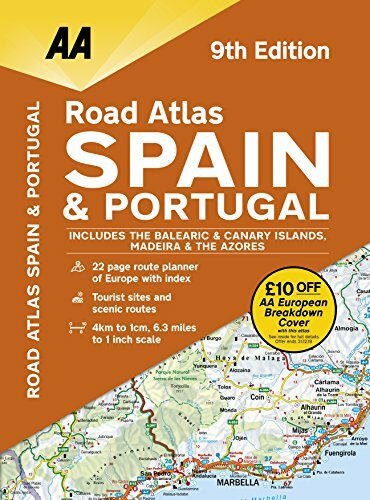 This spiral-bound, large scale atlas provides essential mapping for driving through Spain and Portugal. Including petrol station, service areas and ferry routes. There is a helpful Europe-wide route planner with index and details of national speed limits and emergency phone numbers., Detailed mapping by leading cartographers Freytag & Berndt is perfect to help you navigate on your trip. Relief/hill shading is shown throughout the main mapping which also features points of interest including hotels, spas, campsites, golf courses and world heritage sites. A comprehensive place name index accompanies each map section.